It’s also a term that’s been batted around so much that I often start saying it whilst making the speech mark signs with my hands. 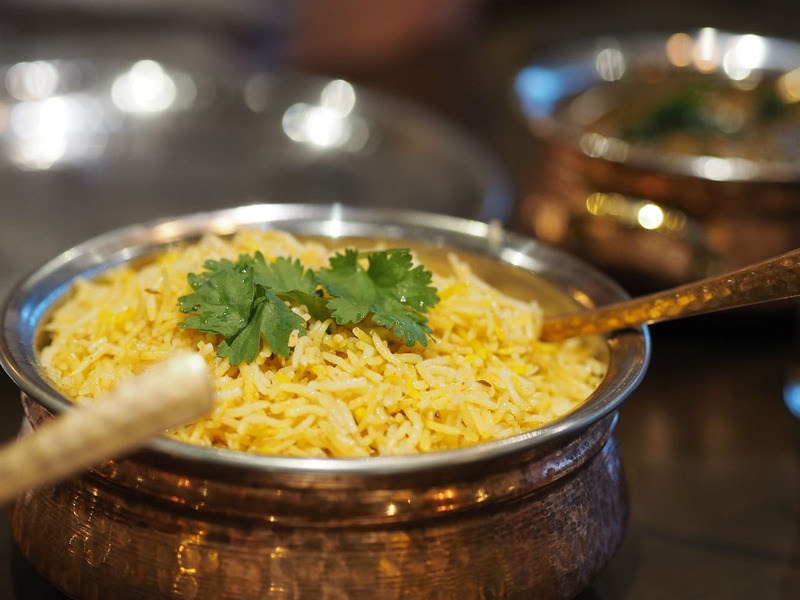 Particularly when it comes to Indian restaurants because there’s been a couple “authentic” ones open up and ultimately what they’ve offered hasn’t been too dissimilar to a typical curry house menu. So. Can I be completely honest by saying that I wasn’t overly enthused when I was invited to Urban Dhaba to review the food. I got the email and thought ‘Meh’ I’ve been here before. 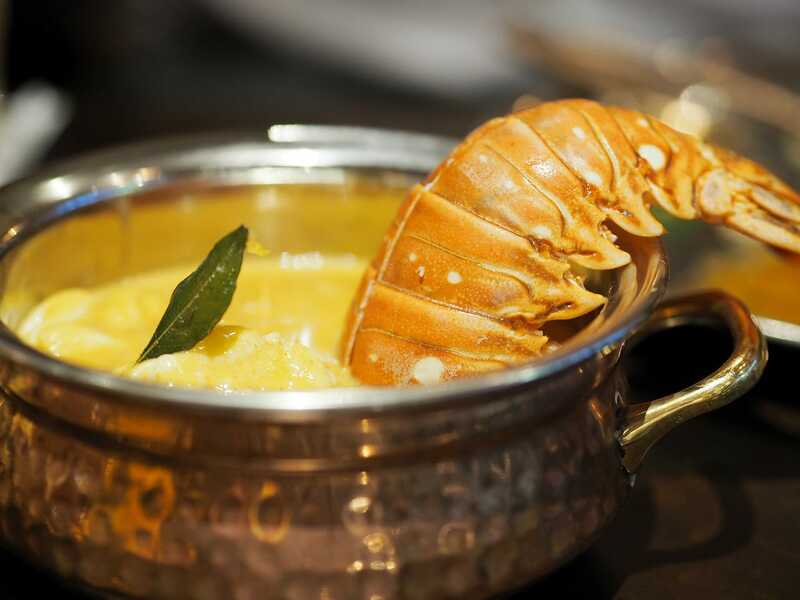 Another place trying to be different but the ‘authentic dishes’ aren’t exciting enough to be memorable nor the classics strong enough to compete with your favourite curry house (everyone has a favourite curry house). 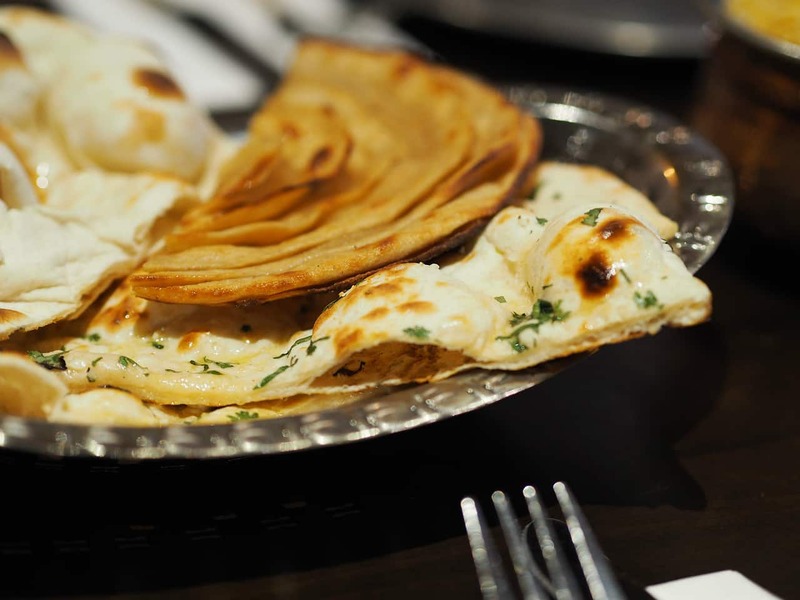 Not only that but Urban Dhaba is located in The Food Centre; one of Milton Keynes’ more bizarre central locations which unlike the name suggests offers little footfall. “Please be blog-worthy. Please be blog-worthy.” I thought in my head as my heels echoed through the Food Centre to the new restaurant. I found myself in a warm dining space with a yellowy glow. It was a modest unit that had been lovingly decorated with cosy furnishings and given some very personal and appropriately tacky decor. 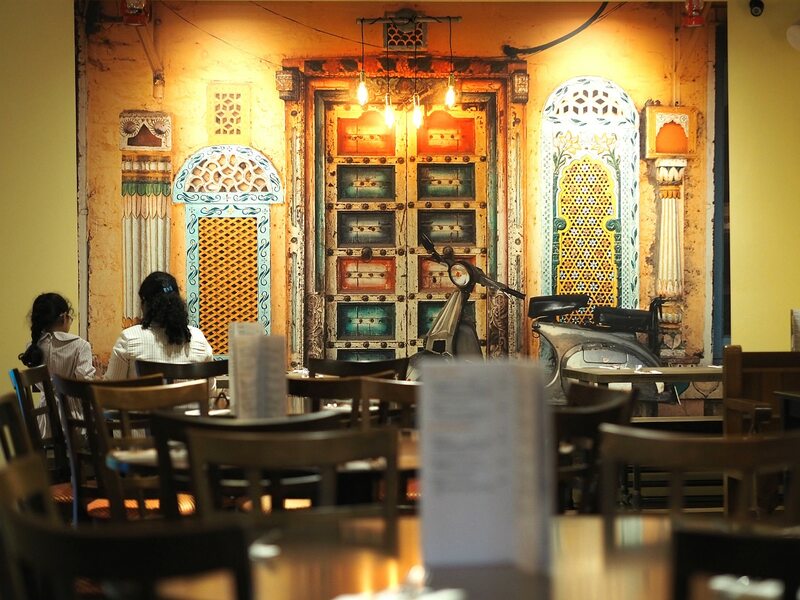 I say that affectionately: I really dislike contemporary Indian restaurants as I find the experience synonymous with gold fittings and murals and ornate pillows. This one I can confirm has it all (note to owner: add even more! Go mad!) 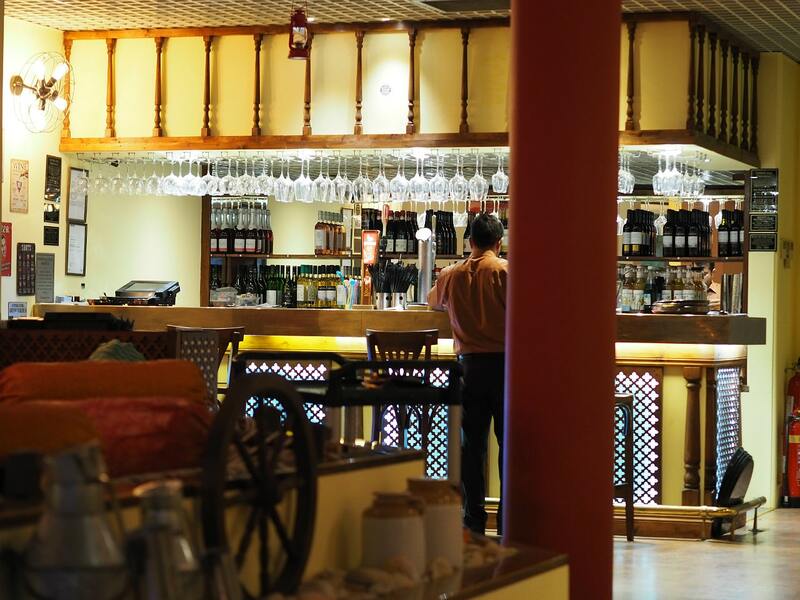 including a lovely lounge area with traditional Indian furniture, perfect for those wanting to just visit the bar. The drinks menu (naturally) got a seeing to first and the list of cocktails resembled a parallel universe where nothing was quite as you expect it to be. No Pina Coladas or Espresso Martinis for you. 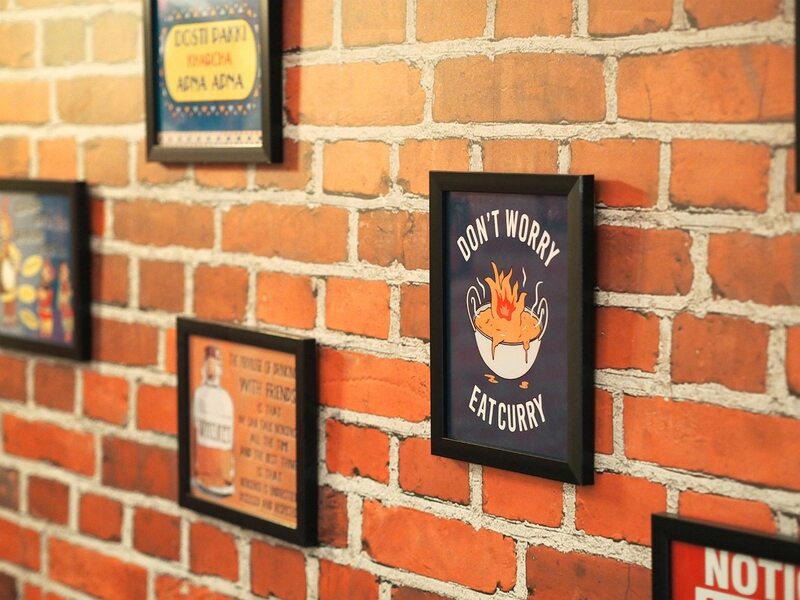 No no, you’ll be choosing from a selection of spicy drinks inspired by the food. 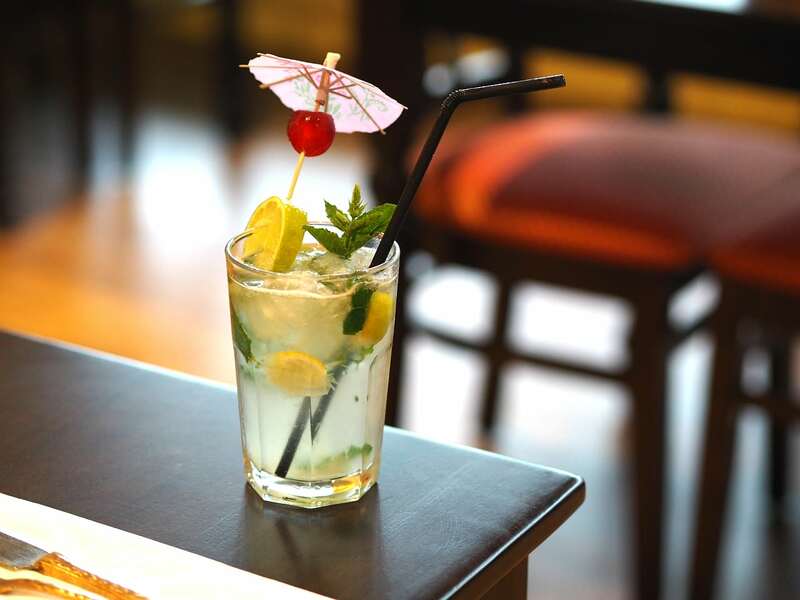 It’s very refreshing to see new things to try and my curry leaf mojito was equally refreshing. The cocktails are an absolute steal at £5.99. I only had one so can’t confirm the strength… I’ll have to let you know one Saturday night. When I was handed the menu my eyebrow naturally started to raise a little and that, guys and girls, is a very good sign. Not one dish my eyes cast themselves over was recognisable to me; I studied the pronunciation of the dishes and poured over the descriptions, many of them like nothing I had tried before. The meal was kicked off with a selection from the starters and glorious shiny metal platters were placed before us. This section of the meal was probably the most familiar: thick squares of spiced paneer, Gobi Manchurian: fried cauliflower coated in lovely spices, juicy prawns, Fish Amritsari: spiced cod fried in gram flour, seekh kebab and some beautifully tender chicken of which one style was amazing whilst the other had me reaching for my curry leaf mojito to cool my mouth down! …Speaking of which, some ultra hot, sticky chilli chicken was served, only for the brave. I love the plates and bowls in Urban Dhaba, all metal and with a real rustic feel. You know I like a bit of rustic! A small but interesting observation is that Urban Dhaba cut their meat up really small in their curries. It’s a little detail but the change in texture actually makes quite a difference to the experience. 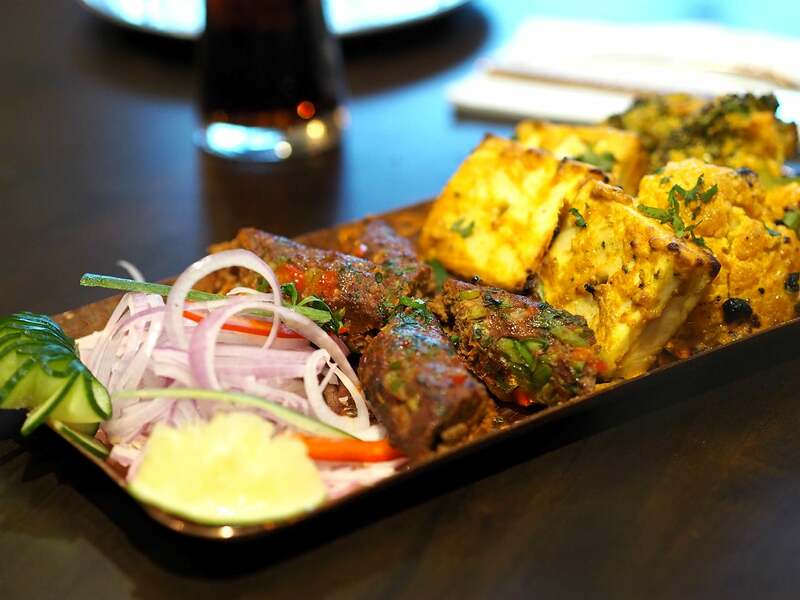 Main dishes are laced with herbs and ginger and fenugreek and range from £5.99 to £9.99; all extremely good value. 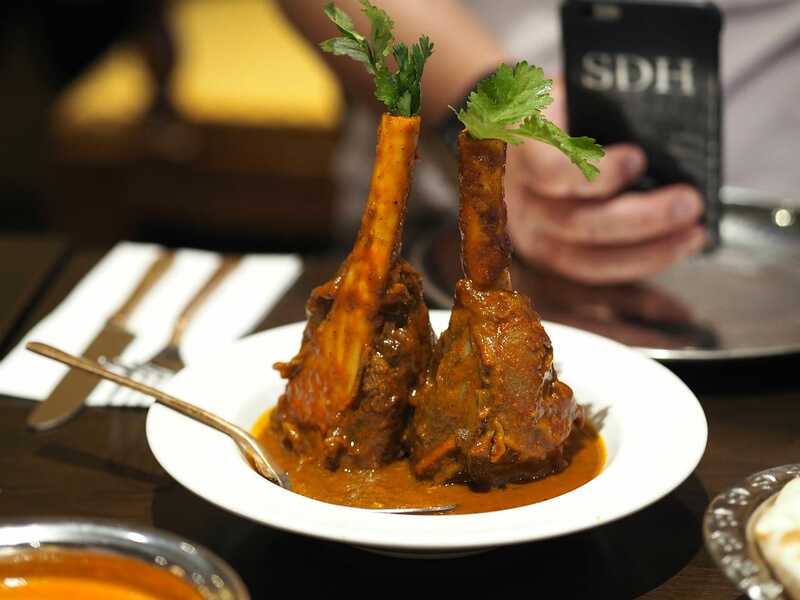 Nalli Nihari: slow cooked lamb shank and marrow seasoned with freshly ground Nihari Masala. It’s like pub grub with a spicy twist with beautifully cooked meat in a thick, rich sauce not so far removed from gravy. 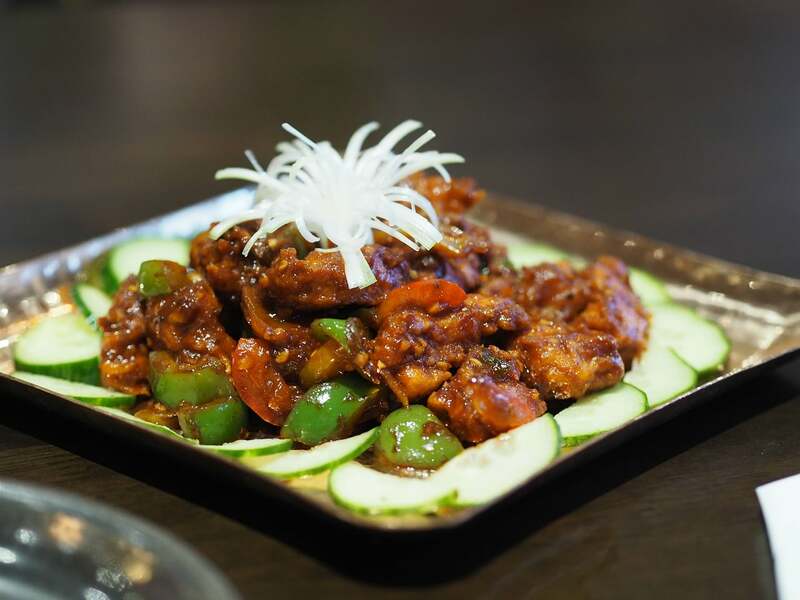 Oh wow is this hearty and comforting, this dish alone is enough to call me back to Urban Dhaba! We ate a feast of chicken, lamb, fish, more chicken, more lamb… I was pretty damn full when it came to dessert time! There’s plenty of vegetarian options on the menu in a dedicated section called ‘From The Garden’ which I thought was cute. There’s also meats like mutton, goat and rabbit on the menu for those looking to branch out. I love rabbit but sadly is wasn’t available the day I visited, another reason to go back eh? 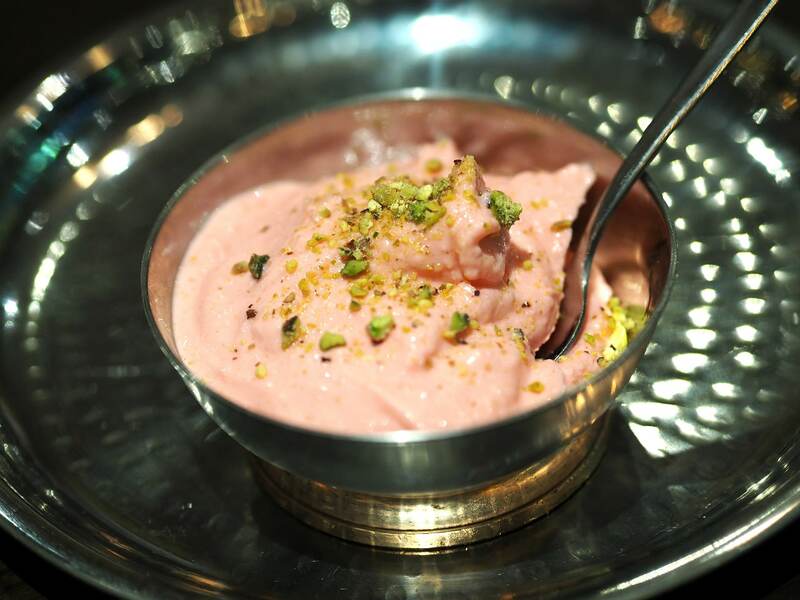 My meal finished with a traditional dessert called Rose Shirkhand: yoghurt perfumed with rose saffron and cardamom. Accompanied by a glass of hot Masala Chai which was a wonderful way to end the meal. 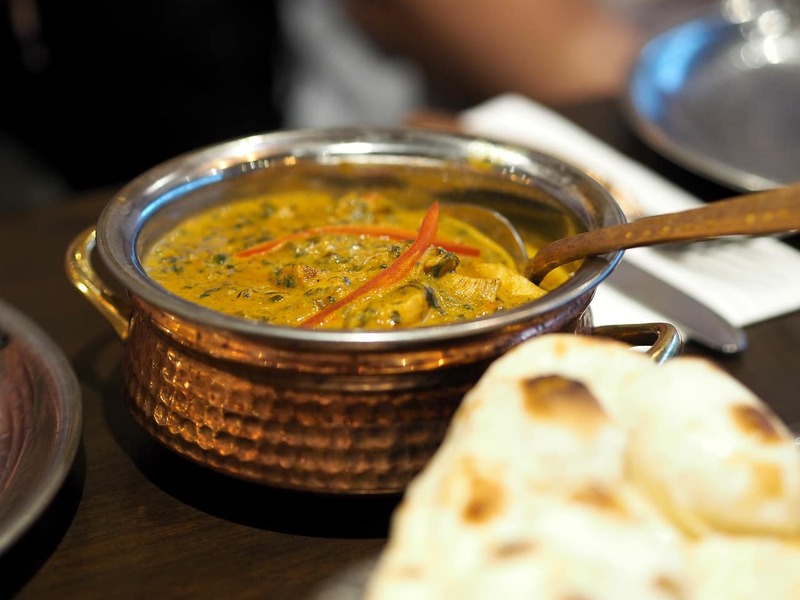 What do you reckon; could you ditch your favourite curry for something new? Swap your madras for mutton? Your chicken Korma for rabbit Kheema? Let’s just say I’m willing to set aside the speech marks for these guys. Now, get me some more of that Nalli Nihari! Disclosure: My meal was complimentary. As always all words and thoughts are my own. Loved your review. I look forward to seeing more of them.